Journalism Professor Jane Marcellus (right) with two of her co-authors, Kimberly Wilmot Voss (left) and Tracy Lucht, at a book signing. Photo by Mike Sweeney. 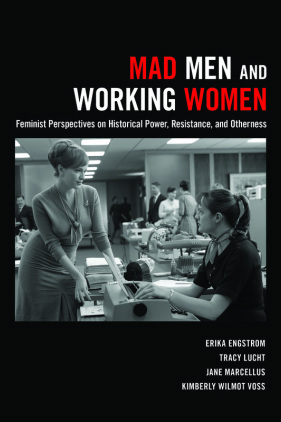 “Our purpose in writing the book was not simply to analyze Mad Men,” Marcellus said, “but to use Mad Men as a springboard to look at women’s lives in the 1960s, particularly in relation to labor, both in the workplace and at home.” Mad Men’s portrayal of 1960’s New York life is incredibly rich with detail and features a well-acted cast of flawed, struggling characters. One of the show’s objectives is to give viewers a more accurate look into the lives of women in this era – real individuals who were concerned with equal rights and fought against injustice. “It is often thought that women in this time between the end of World War II and the 1970’s women’s movement weren’t concerned with gender inequity and that they had no power, and that’s not true,” Marcellus noted. Marcellus is an avid researcher and speaker on the topic of gender roles and portrayals of women in the media. Marcellus’ first book, “Business Girls and Two-Job Wives,” looks at how magazines have historically stereotyped working women and how modern media channels portray similar messages. It only seems natural that, as a media history scholar and huge Mad Men fan, Marcellus would examine the show’s themes of gender. “The show was an easy fit with my research interests,” she said. “The book started as an AEJMC (Association for Education in Journalism and Mass Communication) panel, which I put together for fun.” The idea developed further when a number of her colleagues expressed interest in similar topics, and Dr. Erika Engstrom at the University of Nevada took the lead on the project. The book has certainly made its presence known since its release earlier this year. 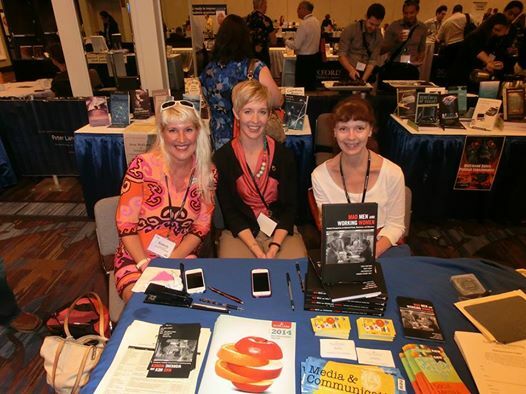 Marcellus and her co-authors have signed copies at the International Communication Association conference in Seattle and at the AEJMC conference in Montreal, and co-author Kimberly Wilmot Voss, a professor at Central Florida, held a reading in October. Marcellus and Engstrom have been invited to contribute a chapter to a book that analyzes various TV relationships, detailing Don Draper and Peggy Olson’s relationship. Marcellus is also working with David Lavery in MTSU’s English Department to organize a Mad Men symposium next fall in New York. To learn more about “Mad Men and Working Women” or other works by Dr. Jane Marcellus, visit her website.